Press alert! 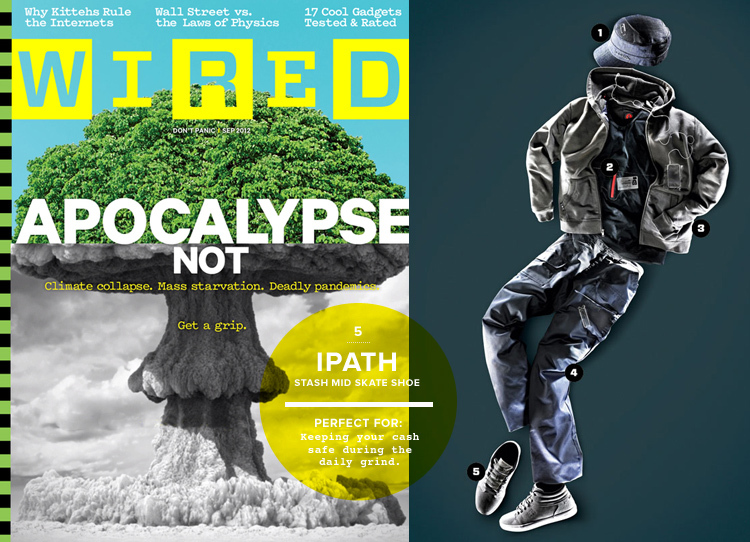 We are excited to announce that both Ipath and Alpinestars, two of our favorite partners and action sports brands, have been featured in the September issue of Wired Magazine. Both clients and their must-have products were featured in Wired’s Gadget Lab as gear recommendations. Wired listed Ipath’s Stash Mid Skate Shoe as a handy wallet replacement in their recommendation engine for "clever hidden pockets," as the suede skate shoe includes a secret pocket on its tongue. Wired also published a feature (and a video on Wired.com) recommending Alpinestars’ Tech Air motorcycle race suit for its innovative safety features, including a built-in air bag that rapidly inflates in under 45 milliseconds. As an agency, we strive to partner with brands that are leaders in their industry and create differentiated, best-in-class products. It’s no surprise to us that Wired took notice of Ipath and Alpinestars’ performance-driven gear! Published on September 28, 2012 .